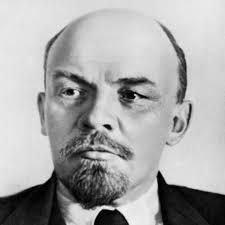 V. I. Lenin, leader of the Russian Revolution of 1917. At this time, when the US capitalist class is in turmoil over a president they don’t control, it’s useful to look at Lenin’s “What is to be done?” This little book might be the most misunderstood of all his works, including being misunderstood by those who claim to support Lenin’s basic ideas. Possibly the most misunderstood of all was his comment that working class revolutionary consciousness can only develop from “outside”. But he did not mean from outside the working class; he meant from outside the sphere of relations between the working class and the capitalist class, from outside the relations between the worker and the boss or the tenant and the landlord. If that is all a worker sees, then she or he can only see themselves in a subordinate role, fighting for a slightly better deal from the boss or the landlord. What Lenin was arguing, among other things, was that a revolutionary consciousness involves workers looking at the capitalist class itself, looking at the relations within the capitalist class and between the capitalists of one nation and another. We don’t have to take what Lenin wrote as being the word of god, but it is useful to know what he thought. This is partly true, but only partly. After all, the French Revolution arose without Marxist ideas. But it’s also true that scientific socialism – Marxism – was developed by intellectuals who were outside the working class. This means Marx and Engels. Today, when most workers are literate, the role of these intellectuals is not needed in the same way. But with today’s environmental crisis there is a need for a different set of intellectuals: Biologists, climatologists and others like that. Scientists like Theo Colborn, who has made a great contribution to the study of the environment and the effects of toxins on the body. See a review of her important book, “Our Stolen Future” here.